The interesting 2017 Renault Alaskan pickup truck has been spotted totally unveiled just a week before the official debut. Judging by the photos, the vehicle is definitely getting plenty of styling cues from its concept version, which was presented last year. The exterior bodywork of the truck is really something. The 2017 Alaskan is showing the amazing front end with the unique grill that features chrome bits. 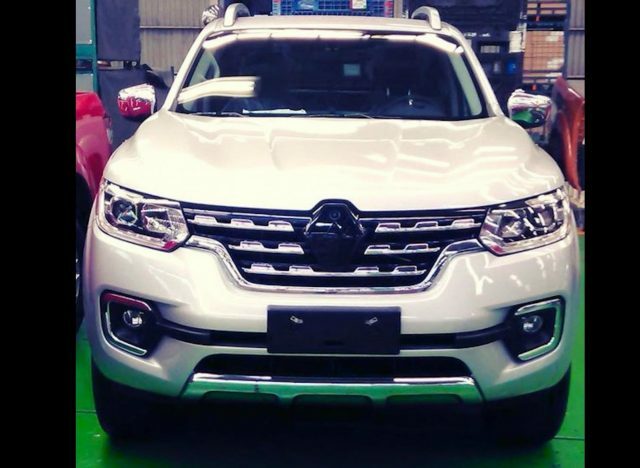 On the other hand, the headlights seem to be borrowed from the Rogue, while the front bumper sports a dominating chromed line and impressive for lamps. The inside is where the pickup might show its brilliance, because the carmaker promises to offer high quality standards with plenty of space for all five passengers. As for the trims, you can expect both the single-cab and dual-cab versions. Still, the 2017 Renault Alaskan isn’t that unique as you may think. 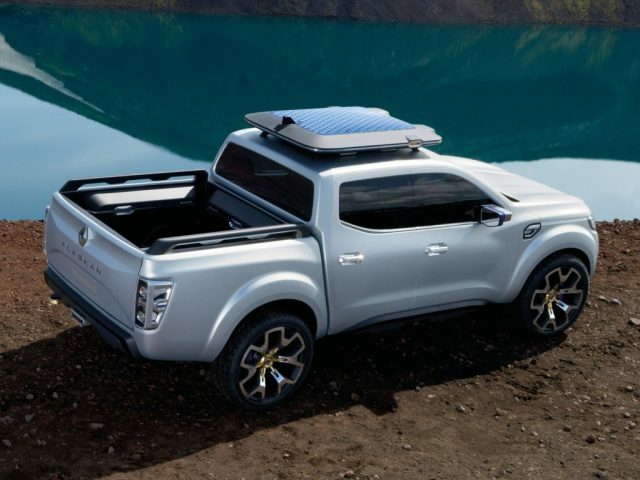 The truck is using the same platform as the Nissan Navara NP300 and the upcoming Mercedes-Benz GLT. 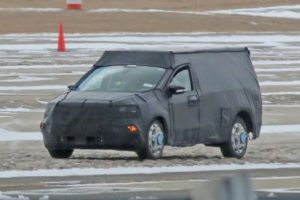 As for the performance results, it is rumored that the vehicle could get a maximum payload capacity of 2,200 pounds, which isn’t bad at all. The engine options are reduced to the 1.6-liter dCi turbodiesel engines that will deliver 135 and 165 horsepower. 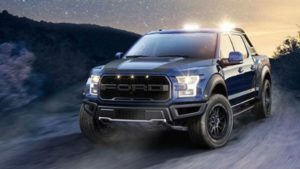 There is also the possibility of seeing the manufacturer’s 2.3-liter turbocharged diesel engine that produces 160 horsepower and 265 lb-ft of twist. The power will turn either the rear or all wheels, while you can choose between a six-speed manual transmission, and a six-speed robotised manual gearbox. The 2017 Renault Alaskan pickup will be officially introduced on June 30, 2016 at a special event in Medellin, Columbia. The carmaker haven’t said anything regarding the price of the interesting truck, but we should find out in the coming days, so stay tuned. 2018 Toyota Tundra Comes Updated. Diesel Under the Hood. Hybrid in 2019?